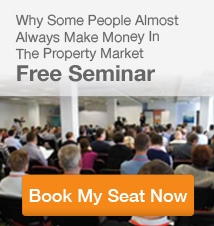 Everybody knows how lucrative real estate investing can be. But many people never take the first step because of assumptions. Assumptions that real estate requires lots of money, that you need the right connections to get the best deals, or that the real estate market is just too risky for a small investor. It might surprise you to learn that none of these are true. That’s why Ironfish offers one on one property investment analysis in our Melbourne office for people considering becoming investors. 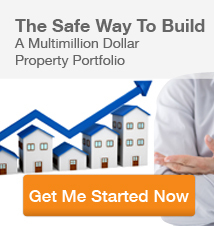 Every Melbourne property investment analysis begins with a careful assessment of your financial goals. Not everyone wants the same thing from their investment portfolio and we’re here to make sure that what you want lines up with what you expect. At Ironfish’s Melbourne offices and across the country, we strongly recommend taking a long view approach to investing. We find it very helpful to clarify your investment objectives and goals, planning out your tolerance for risk, your ceiling for investment, and how soon you hope to recoup your investment. 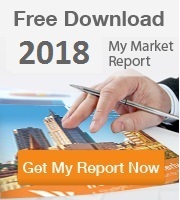 Once we have this data, you’ll receive a formal Portfolio Analysis drawn up by our custom PPA software that summaries your current situation and where we can go from here. At Ironfish, we want to help you build a balanced portfolio with multiple rental properties that will pay back your initial investment and then keep building wealth for you over the next few decades. How exactly we do that depends entirely on you. During your property investment analysis in our Melbourne office, we’ll go over current projects on the market to give you a sense of what is out there and what you might expect to recoup. Through our Melbourne offices, you’ll have access not only to local investment properties but to other projects in markets all across Australia. Our team works closely with other teams across the continent to network our investors into special VIP listings and strategic opportunities that will help you achieve your financial goals faster. Right in your first property investment analysis we’ll create a plan for how you can own four properties within the next ten years. And of course, much of your Melbourne property investment analysis will be time for you to ask questions. Your professional strategist has extensive real estate experience and will happy to answer your concerns and go over any areas that are unclear. We pride ourselves on being completely open and honest with you at every step, and giving you the information you need to be empowered to make your own decisions about your own investments. To get started on your properly investment journey today, call our Melbourne offices to schedule your property investment analysis. If you can’t make it into our office, one of our strategists will be happy to come to your home or your workplace for your ninety minute introduction to the Ironfish property investment strategies.